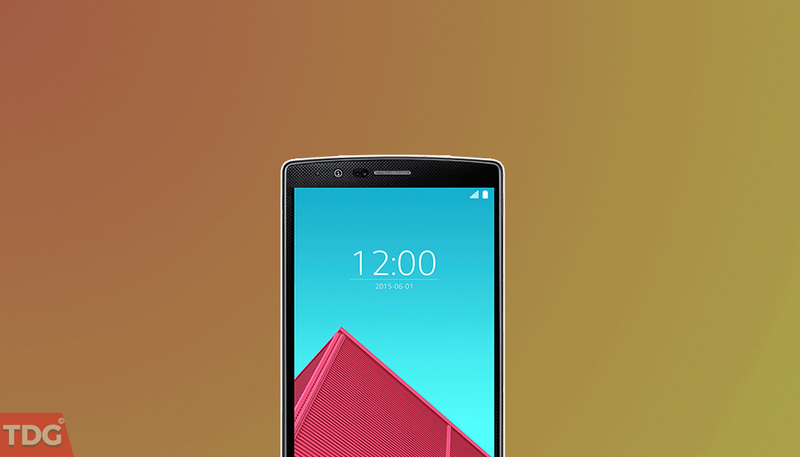 If you are a user of LG G4 and want to explore beyond your stock ROM, there is good news for you. Android 7.1.2 Nougat is available via Custom ROM crDroid. LG G4 is considered to be one of the best selling smartphones from LG and hence, this custom ROM will be a boon for many users who are looking forward to using the updated version of Android and boost their device like never before. You will be surprised to see the number of options you will get to customize almost everything after you install the custom ROM. It is a must try if you already have your LG G4 rooted. It is important to note that it is only applicable for LG G4(h815) and may damage other handsets if you are going to try it install it. Your device must be rooted and it must have Custom recovery installed. Take a full backup of your device data and files because everything will be wiped out completely during the process. You should have the USB debugging mode enabled for LG G4. Maintain at least 60% battery charge. Download and install LG G4 USB driver on your computer. TheDroidGuru.com will not be responsible for any damage that occurs to your device during the process of installing the custom ROM crDroid. Hence, you should procedure at your own risk. Step 1. Download crDroid Custom ROM and GApps on your computer. Step 2. Connect your LG G4 to your computer via USB and transfer the Custom ROM Zip file and GApps Zip file to the internal storage of the phone. Step 3. Disconnect your phone from the computer and turn it off. Then press Power and Volume Down key together unless you see LG’s logo on the screen. After the logo disappears, hold the key combination again until you see the Recovery menu. Step 4. Go to Wipe Data or Factory Reset option using Volume keys and then press the Power button to apply for the operation. Step 5. Come back to the main menu, and select Advanced Options. Then select Wipe Cache Partition and Wipe Dalvik Cache. Step 6. Go back to the main menu and select Install option. Browse and select the Custom Rom Zip file from internal storage and start the installation process. Step 7. Once the installation is complete, install GApps in the same way. Once both the installations are done, give your system a reboot by selecting the option from the main menu and then start using your LG G4 with Android 7.12 Nougat and explore the features.